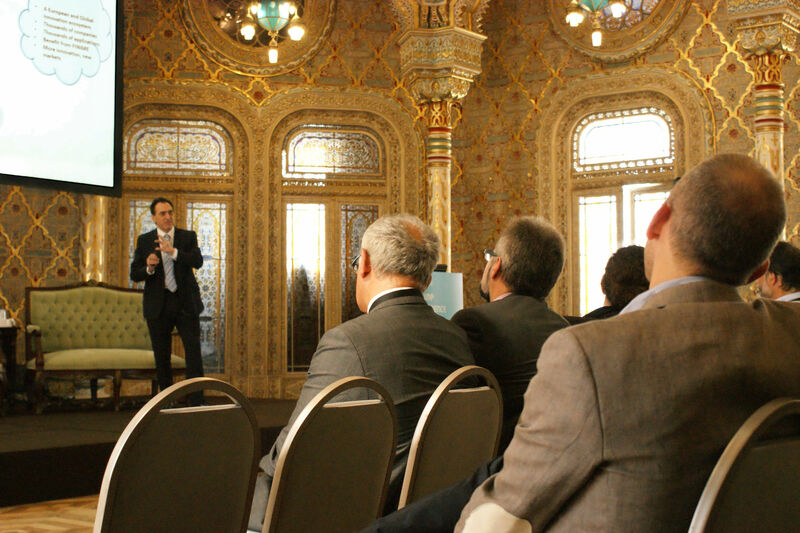 The SOUL-FI FIWARE Accelerator is one of 16 incubators that joined the FI-PPP with the beginning of the 3rd and most important phase of the Future Internet innovation program. The mission of these 16 accelerators is to accelerate the uptake of the FIWARE technology foundation, which has been built in the previous two phases and has now reached a level of maturity that qualifies it for competing in the innovation wild. Consequently, the correct name of these 16 incubators is FIWARE Accelerators. Involving dedicated FIWARE accelerators is yet another feature that underlines the decisively impact oriented approach of the FIPPP. 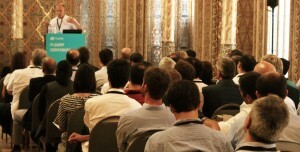 Each of these FIWARE Accelerators was evaluated and selected on its capabilities with respect to attracting and supporting entrepreneurs which are keen on developing a business on top of FIWARE technology, no matter if these run existing companies or have a start-up idea and are thus at the very beginning of a venture. FIWARE Accelerators do already have a large community to tap into, each of them in one or several application domains. The challenge is to promote FIWARE technology to community members and to support those who commit to developing FIWARE businesses along the entire innovation life-cycle, that is from idea-to-product. Seed investment is certainly one very important factor in this, but there are way more elements like business planning, legal aspect inherent to company foundations, human resourcing, financial management, marketing strategies, product development, and and and. 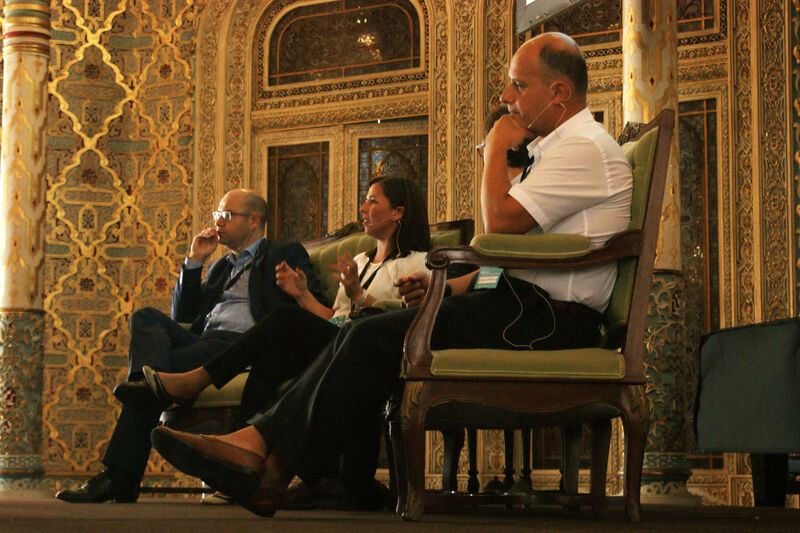 SOUL-FI is one such FIWARE Accelerator and launched its activities with the SOUL-FI SME Event in o Porto, on September the 5th of 2014. The event attracted 170 attendees from diverse backgrounds, SMEs in the ICT domains, software developers of start-up companies, medical staff of hospitals, representatives of public authorities, academic staff, and with different company roles, from software developers, system engineers, up to CEOs, CTOs, and senior executives of public institutions. 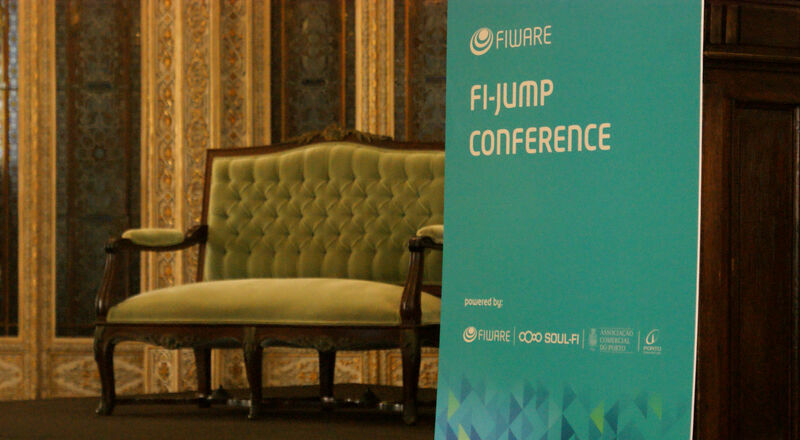 The central objective of the event was to introduce SOUL-FI, elaborate the services it provides, and to attract decision makers as well as ICT-doers such that they consider to engage with FIWARE. 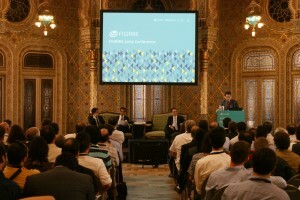 This was implemented with a set of speakers that represent the nature, constitution and ambition of the FIWARE program. Are you a Startup, SME or web-entrepreneur, eager to design new apps and services? Europe offers you a chance to receive financing and support to develop your next Future Internet project. CMP and SOUL-FI are promoting a FI-WARE Accelerators event for call dissemination! The panel that followed the talks turned into the most important element; as expected. It provides insights into the top most concerns of the community related to FIWARE uptake. Usage Requirements – Q: Do I need to apply to one of the FIWARE Accelerators in order to be entitled to use FIWARE technology? A: No, you can start right ahead. Register yourself an account at FI-Lab, read the developer instructions on the FIWARE landing page, and enjoy the Future Internet! Technology Constraints – Q: Are there very particular constraints related to the technology components (GEs)? A: This depends on the use case. Each technology component was developed with either a service-oriented design or with software binding that allows it to be consumed by an application. Naturally, interface choices, programming language choices, framework choices, operational aspects, and other design, develop, and operational aspects were considered to provide a technology component that optimally meets the requirements of its usage domain. All these features are described in developer and operator guides, which are open and publicly accessible. 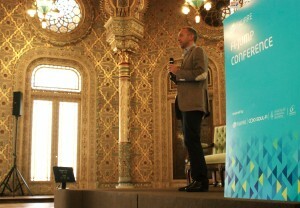 Competitive Edge – Q: What differentiates FIWARE from cloud platforms, like provided by Amazon or Google? 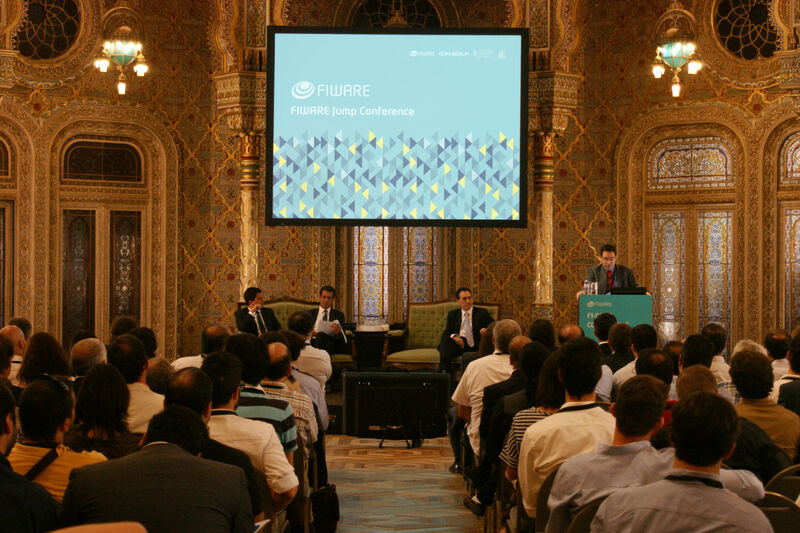 A: The holistic nature of FIWARE. FIWARE is not just yet another IaaS or PaaS service, but is an integrated technology foundations that covers the Internet of Things, the Internet of Services, BigData technology, Security components, novel networking approaches, robotics, Web-based User Interfaces, and many more components. The event closed with a presentation by Nuno Varandas, who is the main contact of the SOUL-FI project, about the entire application process for seed investment. This information is also available on the SOUL-FI website. 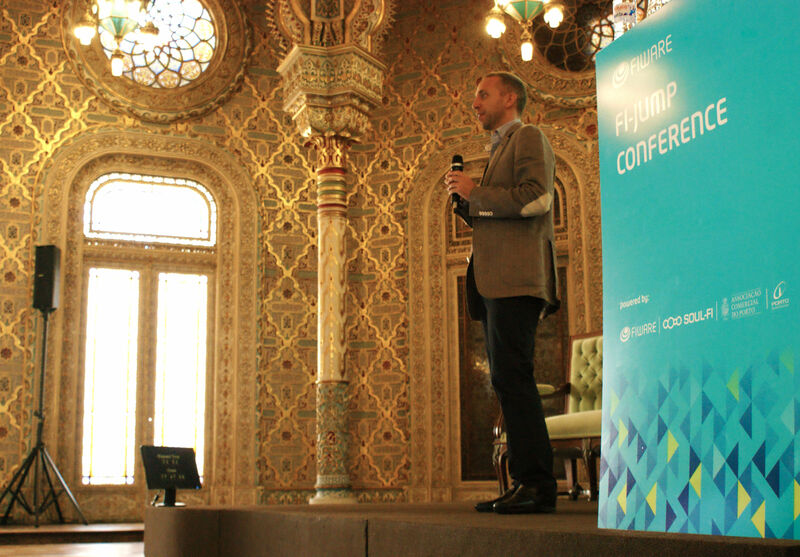 It was a pleasure to present FIWARE technology to the community, and also to be back to Portugal, the country that had brings up so good memory. This entry was posted in *. * by TMB. Bookmark the permalink.